Do you love the Escape but need more stability? Look no further than the Getaway. 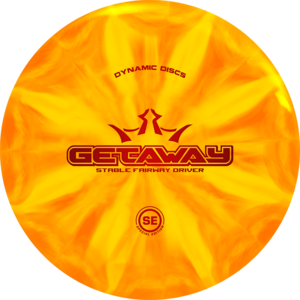 While it shares the feel and glide of an Escape, the Getaway boasts a more predictably overstable flight with moderate fade. When straighter flights with a subtle fade are a must, trust the Getaway. This Special Edition is made in Fuzion X-Blend.